128 rooms including 8 Executive Suites, each featuring modern state of the art facilities such as 49" smart television, high speed Internet, access to the picturesque Infinity Pool, Gym and Spa. 'The Square' a perfect melange of local and international cuisine . 'The Bar' is your perfect destination to catch-up with a drink and snacks. 'The Sun Deck Bar' is your perfect location to unwind by the pool. Kochi has been ranked the sixth best tourist destination in India. Fort Kochi and Marine Drive should not be missed. Do carry memories of Kochi with its spices, selection of tea leaves and plantain chips. Do take time to catchup on a Kathakali show. With modern, well designed rooms and suites offering option of king or twin beds, 49" LED TV, health faucet, minbar, tea and coffee machine, WIFI & access to fitness centre. Premier room offers additional features & facilities such as enhanced bathroom amenities, bathrobe, and slippers. You are sure to have a comfortable stay. Superior Room with 1 king size bed. Unwind and relax near the infitinity pool. 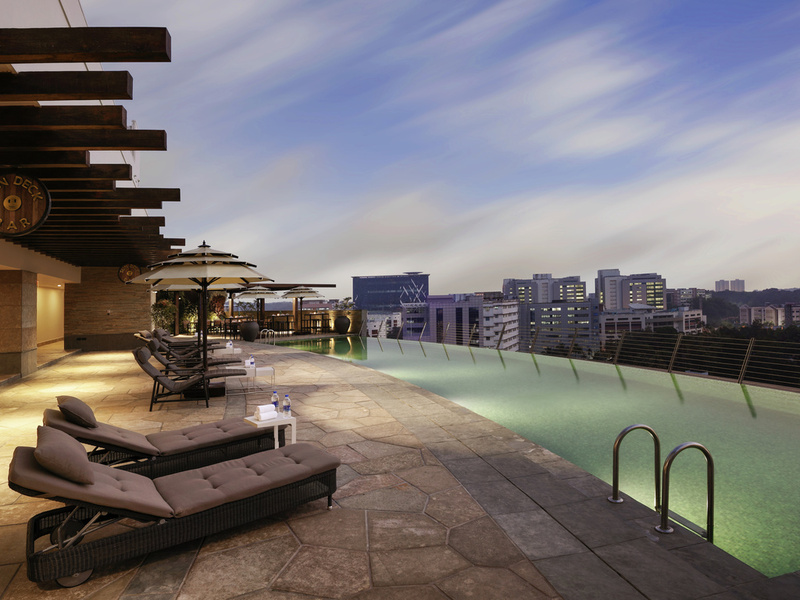 Your kind of space where you can have your favourite drink with a breath of fresh air and sink in to scenic views.